cat spray repellent | Pet MasterMind - Effective & Ethical Pet Products! Claw WithDraw – #1 Stop Cat Scratching Natural Spray – Safely and Effective Stop Cat Scratching Without Declawing – Only $19.95! 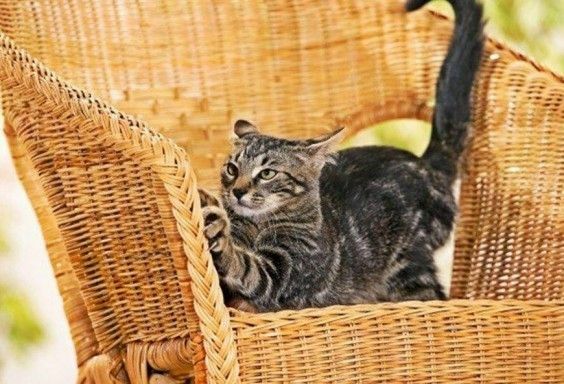 It might be your expensive Italian leather sofa, your intricately woven rug, or even your crappy old recliner with the cushion coming out – no matter the chosen object of destruction, your cat probably isn’t tearing it apart as a judgement on your taste in décor. Rather, he is engaging in a normal and natural feline behavior, that can be, in most cases, redirected to a more mutually copacetic location. The scratching behavior itself is normal and natural, and the aim should be to redirect your cat’s habits to an appropriate location rather than stop the behavior in its entirety. When your cat scratches your new leather recliner, he is depositing his scent on it, marking it as a safe place that he recognizes. This scent encourages your cat to return to the same spot over and over again, creating both a habit and a soothing behavior that he enjoys. Scent marking also means that cats who live in multi-feline households can be more difficult to break of the behavior, particularly if the household cats do not fully accept each other. Additionally, felines who are anxious, fearful, aggressive or seeking territory dominance are more likely to engage in excessive scratching behavior in order to repeated leave their scent in the area. Of course, even well-adjusted kitties enjoy some amount of scratching – it provides a degree of exercise, and would help to in keeping nails sharp and groomed in the wild. In fact, it is a good idea to trim your cat’s nail’s regularly, as cats with long nails may engage in more scratching behavior. Ultimately though, all cats deserve a place to exercise their scratch instincts, and providing the right scratching surface in the right manner will maximize the chance that it will be a location you are both happy with! First, what NOT to pick. Posts that are unsteady are the first no-no. Your cat wants a post that he can stretch out and lean on with his full body weight. If your cat doesn’t feel secure in doing this with your post, he will be happy to simply use your sofa instead. Carpeted posts may teach your cat to scratch on carpet. So, unless you are looking for a feline powered carpet removal service, stay away from carpeted scratching posts. So which surfaces make for ideal scratching posts? Sisal posts, are extremely popular with cats and owners alike. There are also a number of vertical cardboard-type scratchers on the market, with many feline aficionados declaring successful purchases. Keep in mind, that it’s a good idea to provide your feline with a variety of scratching options, and this is even more important in multi-feline households, as some cats would rather not share scratching equipment. Declawing is not the equivalent of trimming the nails, or having a tooth pulled. 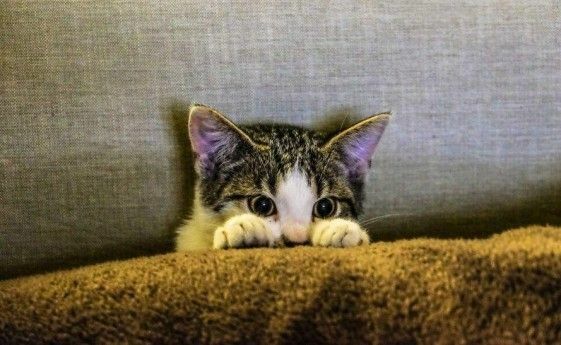 It’s far more similar to having a limb amputated, as a cat’s claws are crucial for balance, and while a domestic cat would hopefully never require its claws for survival, the loss of its primary weapon can cause severe mental distress. Declawing is a permanent surgery, akin to an amputation which physically removes the last joints on the cat’s paws. The surgery is prone to complications of both a physical and mental nature for your cat. Should your cat ever become lost, it will be without its main defense mechanism, and lacking the balance felines are known for. 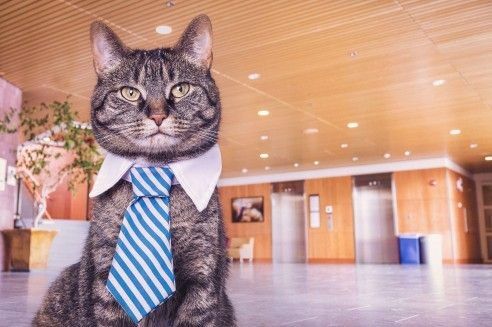 Also, your cat may become more likely to bite, engage in nervous behaviors such as inappropriate urination (marking), develop a fearful personality. The paws may become very sensitive or even painful after the procedure, causing some felines who were previously litter-trained to stop using their litter box, likely due to the pain from scratching the litter after the procedure. You may be replacing one problem behavior with another, with serious consequences for your kitty. Initially, put the post where your cat goes to scratch. This may be by a sofa, a chair or wherever Kitty has chosen as her territory, and you may need more than one post to cover her favorite spots. Security is a major factor in making the post appealing to your cat. If it topples or shakes, she won’t use it. It should either be secured to the floor or have a base wide enough and heavy enough to keep it stable. If your cat reacts to catnip, you may want to increase the desirability of the post by using a catnip spray or rubbing some of the dry herb on it.